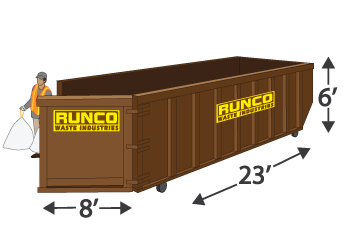 Ideal for modest residential or commercial projects, the 10 Yard is the smallest Roll-Off dumpster we offer. With a wall height of only 4 ft and a swing out gate, it makes loading easy. 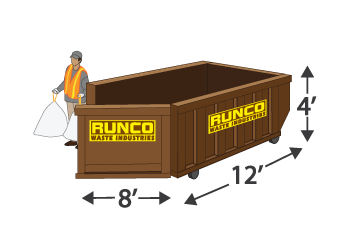 One of our more popular sizes, these dumpsters handle most small to mid-sized residential or commercial projects. With a height of 4 ft, it's easy to load. Intended for medium-to-large projects, our 30 Yard Roll-Off is great for interior projects such as remodeling or decluttering. It’s generally the perfect size trash removal container for renovations. 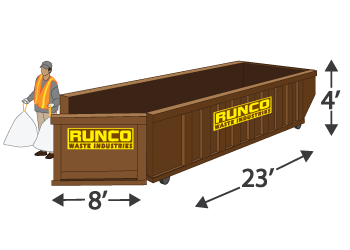 The largest our dumpsters, these are built for big jobs. Our 40 Yard Roll-Off can easily tackle large residential interior and exterior renovations and cleanups, as well as commercial construction projects.